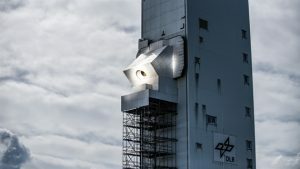 Solar researchers of the German Aerospace Center (DLR) reached in DLR’s Jülich Solar Tower test facility an important milestone for the development of a new receiver concept for solar tower power plants: During the solar test operation of the so-called centrifugal receiver CentRec® for the generation and storage of solar high temperature heat, 965 degrees Celsius average particle temperature were measured at the receiver outlet. This result even surpasses the projcect’s set goal of 900 degrees Celsius. Up to now, the total accumulated solar test time in the DLR solar tower facility in Jülich has reached 60 hours. For the solar researchers this result sets the course for their further work on the new technology: «The proof of the high operating temperature is an essential condition for the targeted commercializaton of this new receiver concept,» explains Dr. Reiner Buck, department head Solar Tower Systems at the DLR Institute of Solar Research. The technology of the new CentRec receiver uses small ceramic spheres (bauxite particles) to absorb, transfer and store heat in one medium. Such particles enable temperatures exceeding 1000 degrees Celsius. The particles are available at prices which allow a cost-effective thermal storage and thereby enable a demand oriented solar energy supply. The core piece of the CentRec system is a rotating chamber with the rotation axis tilted by about 45 degrees downwards. The ceramic particles with a diameter of about one millimeter are introduced at the top of the chamber. Centrifugal force keeps the particles at the inner wall of the rotating chamber. 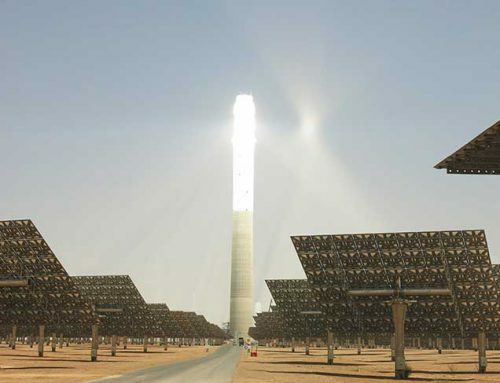 The concentrated solar radiation enters the chamber through an aperture pointing towards the heliostat field. The radiation is then directly absorbed by the dark particles which are being heated up. With the help of gravity force the particles move slowly along the chamber wall through the receiver and are collected at the lower exit after being heated to the desired temperature. The particle retention time can be easily controlled by adapting the rotation speed, allowing constant exit temperatures under all load conditions. 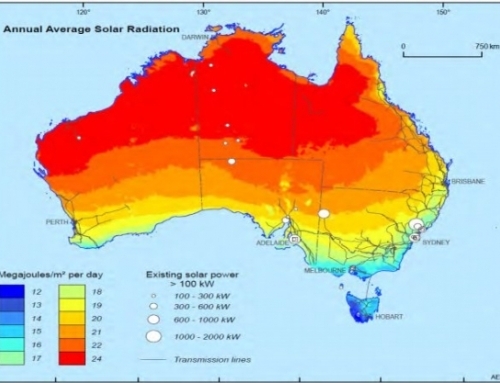 Solar tests started in September 2017. Within 22 test days with good solar radiation conditions the receiver temperature was increased step by step. In the last run of the test series, the temperature sensors at the outlet of the rotating drum indicated the maximum value of 965 degrees Celsius for the particles. From there, the particles trickle into a downcomer where a stream of air cools them down. The particles fall into a collection container, where a conveyor system picks them up and transports them back up to the receiver. For the test operation, the temperature target was in the foreground, the transport cycle of the particles was therefore kept simple. In commercial operation, the particles will travel one more trip: they will only return to the CentRec receiver after they have transferred their heat to the user’s system. Two main applications are intended for the new solar high temperature technology. 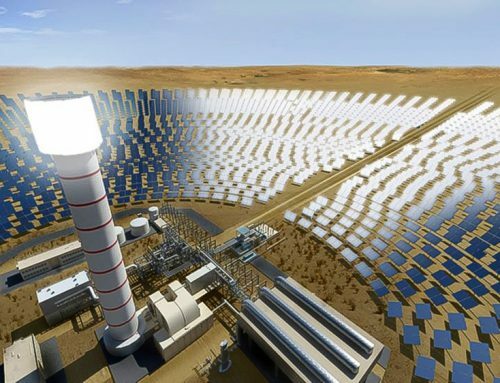 For the generation of electricity, the increased temperature level offers the possibility to power state-of-the-art steam power plants – which use steam temperatures up to 620 degrees Celsius – exclusively with solar energy. 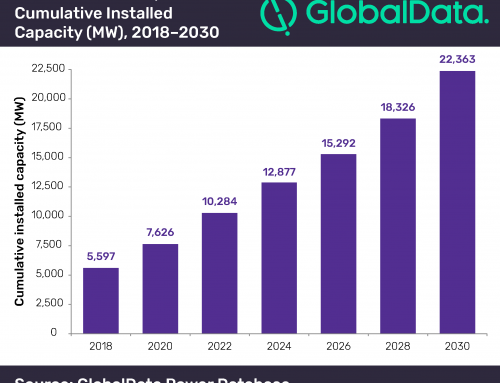 Thanks to the integrated thermal storage, electricity can be provided according to the grid demand. 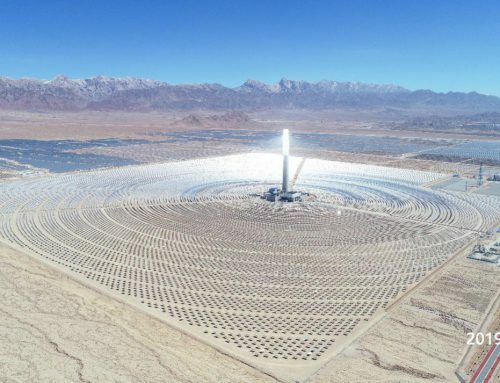 State-of-the-art commercial solar tower plants use molten nitrate salt as heat transfer and storage medium, limiting the achievable steam temperature to 540 degrees Celsius. A steam temperature level above this limitation, as provided by the new particle system, increases the overall plant efficiency and hence reduces the cost of solar electricity. The second field of application is solar high temperature process heat. Process heat applications at high temperature represent a huge energy demand with significant CO2 emissions. 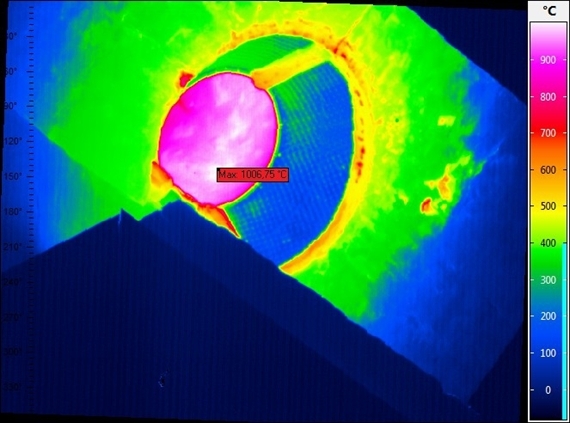 As an example, preliminary cost estimates for the use of solar particle technology for preheating of foundry materials showed attractive amortization times. The expected cost reductions are achieved by several factors. On the one hand, the direct irradiation of the ceramic particles avoids the need for costly metallic superalloy tubes where the heat transfer fluid passes through. The direct absorption principle also allows increased receiver efficiencies at high temperatures. On the other hand the large temperature range made possible by the use of ceramic particles opens new opportunities for the techno-economic system optimization, leading to a significant cost reduction for the heat exchangers and the storage system. Further advantages are in the use of bauxite particles which do not pose an environmental risk. Since the particles, in contrast to the currently used molten salt, are not at risk of freezing, the otherwise necessary trace heating of tubes and components can be omitted, the involved cost and energy expenditures are saved. The technological development was performed at DLR and has led in the meantime to the formation of the company „HelioHeat“, with the goal to commercialize the technology. Currently a license agreement with DLR is under negotiation. The development of the CentRec® technology was supported by Helmholtz-Validierungsfonds. Formation of the company „HelioHeat“ was supported by the Helmholtz-Enterprise-Fonds.